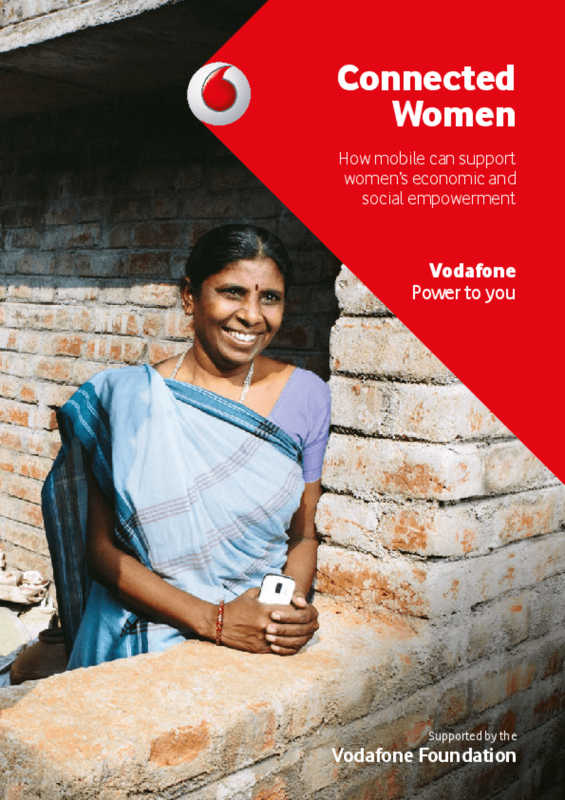 This report explores how mobile services provided by Vodafone and the Vodafone Foundation are enabling women to seize new opportunities and improve their lives. Accenture Sustainability Services were commissioned to conduct research on the services and to assess their potential social and economic impact if they were widely available across Vodafone's markets by 2020. It showcases the projects and the work of those involved and also poses the question -- what would the benefit to women and to society at large be if projects such as these were taken to scale and achieved an industrialscale of growth? This reflects the Foundation's commitment not solely to the development of pilots but rather the Trustees' ambition to see projects which lead to transformational change. In order to understand this more deeply, the Report looks at the benefits for women and society and providessome financial modelling for how the engagement of commercial players could achieve industrial, sustainable growth in these areas. Accenture has provided the modelling and, given the public benefit and understanding which the report seeks to generate, these are shared openly for all in the mobile industry to understand and share. It is the Trustees' hope that the collaboration with Oxford University and Accenture in the delivery of this Report will stimulate not only the expansion of existing charitable programmes but will also seed other philanthropic, social enterprise or commercial initiatives.